This type of paper jam indicates that the registration motor is failing. This is generally caused by adhesive building up disabling the gears that the registration motor controls. 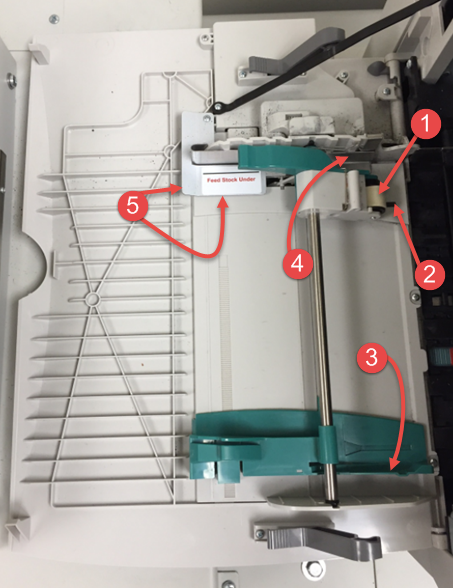 These gears are not easily accessible but they can be cleaned by saturating the back edge of a two foot piece of paper with adhesive remover and shimming it back and forth at the paper path’s entrance. See picture below. Remove the cartrdiges and ITU to access this area. You can use Goo Gone, Goof Off or 3M Adhesive Remover. 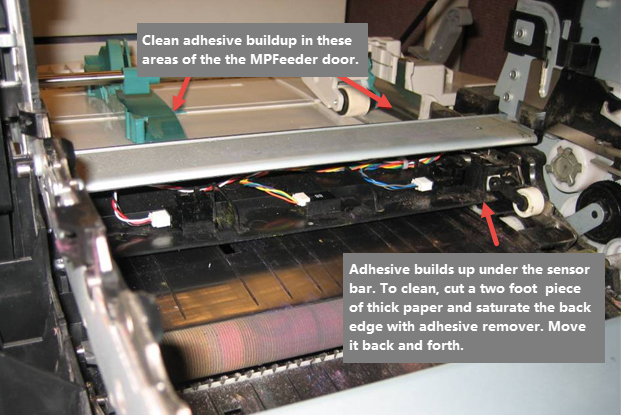 Finally, clean the paper guides and the white MPfeeder door friction buckler as well. Refer to the instructions below.